The Manual or Automatic dispense valve that uses a unique rigid diaphragm design to act as a front closing valve. Very useful when you need to accurately dispense small dots and fine beads of fast setting materials. 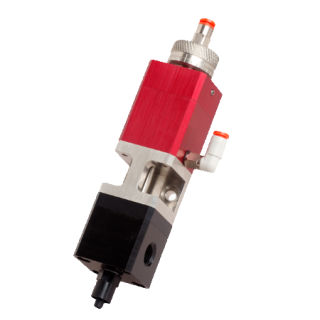 The manual valve can be used in handheld applications, while the automated valve can easily be mounted on a fixture for hands free dispensing, or mounted to a robot for automated dispensing and. 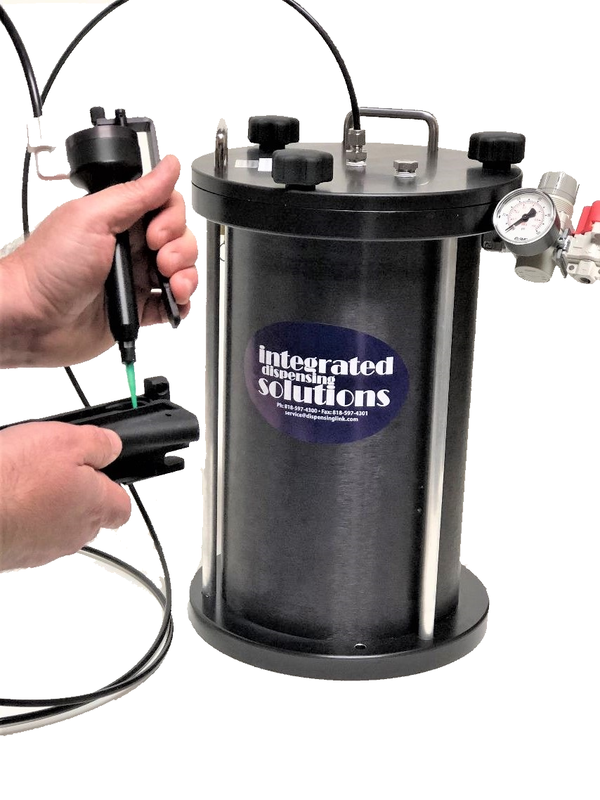 The all plastic construction allows adhesives such as Cyanoacrylate and Anaerobic material to be dispensed through the valve along with a variety of other low to high viscosity fluids, for controlled Micro Shots to beads of many materials. Applications where the diaphragm valve can be best deployed include dispensing dots, beads, or for potting. The valve is invaluable when used with corrosive or reactive materials, with a spring that maintains a piston in a closed position. It is holding a diaphragm “plug” against an orifice through which the material must pass to exit the valve body. 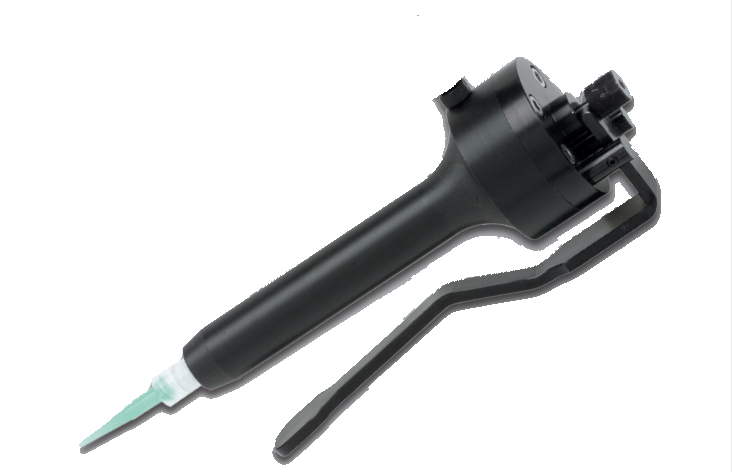 In operation, a pulse of air forces the piston back, which in turns allows the material to flow. When the pulse stops, the spring returns the piston and diaphragm to the closed position, stopping the flow. Excellent for many automated solutions. Diaphragm valves are highly resistant to the effects of sensitive or corrosive fluids, because the diaphragm separates the valve’s actuating parts from the material being dispensed. 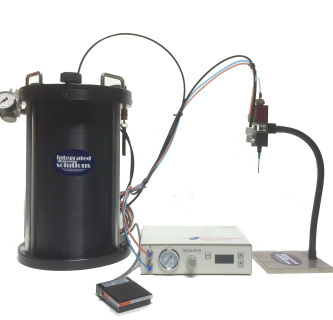 For example, diaphragm valves are often the system of choice when dispensing cyanoacrylates, because this type of adhesive can’t come in contact with the metal in the valve’s moving part. Diaphragm valves are also lightweight, easy to maintain and remarkably durable. Depending on the materials used, diaphragm valves can be very tough when coupled with stainless steel construction, even when dispensing abrasive substances. On the down side, the nature of the diaphragm is such that, while these types of valves can be used with both low- and medium-viscosity materials, they can’t handle thick greases, pastes or other materials being dispensed under high pressure.